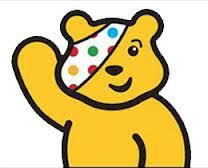 The 32nd Children in Need, takes place in a fortnights time, 16th November. In an attempt to raise some money for this worthy cause, I have decided that for any sales I make of my photographs through Photos4Me, I will donate my profit to Children in Need. This will apply to all sales made on the Wednesday, Thursday and Friday of Children in Need week. So why not go over to Photos4Me now, decide which photos you like and in what format, and then make a note to go back in Children in Need week and make your purchase. Photo4me is a unique printing service and online gallery that brings together buyers of prints and our community of photographers and digital artists. You can have the photographs printed as framed, box framed or unframed prints or even have them printed on MDF. The most popular option though, is to order them as ready to hang pieces of canvas wall art or giclee canvas prints. Canvas print art is an excellent way to create mood in a room. All canvas prints are printed using the finest materials.